Registration is closed May 4th; see below for possible last-minute registration. Non-public librarians may attend the symposium as part of registration for the MLA ’18 annual meeting. 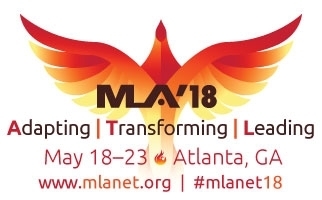 Register for MLA '18 now. One hundred fifty public librarians will be joining the Medical Library Association (MLA) annual meeting for a public health information symposium that runs concurrent with the last day and a half of MLA ’18, including the Tuesday Silver and Gold Networking Dinner. MLA ’18 attendees can attend symposium sessions as part of their meeting registration. The symposium, of interest to both public librarians and health sciences librarians, offers programming in the area of health information for the public. It also provides a unique opportunity for public and health sciences librarians to network. The symposium is organized by MLA in collaboration with the Public Library Association (PLA), the Greater Midwest Region (GMR) of the National Network of Libraries of Medicine (NNLM), and members of the MLA Consumer and Patient Health Information Section (CAPHIS). Attendees: Download Getting the Most Out of the Symposium. The Symposium is designed for public librarians and health sciences librarians in order to meet the urgent need to increase the quality and quantity of health information services to the public. Public Librarians will leave the symposium with a deep understanding of their essential role in providing the public with health information, including information about the All of Us Research Program, and with the resources, tools, and network connections to execute plans to develop their Consumer Health Information skills and their institution’s capacity to deliver health information services. In the Next Steps session late Tuesday, they will work with facilitators to create and prioritize their personal learning goals and plans to work with colleagues and institutional and community leaders to increase their impact on the public’s knowledge of health information. All US-based public librarian with interest or responsibility in providing health information qualify for a free registration for the 1-1/2- day symposium. In addition, you may apply for travel and lodging funds up to $500, provided by additional funding from NNLM. In short, you only have to commit your time to expand your knowledge of health information and to develop your network of peers in public libraries, health sciences libraries, and NNLM. Don't miss this opportunity; space is limited to a maximum of 150 public librarians. The symposium will be held during the last day and a half of MLA’s four-and-a-half day annual meeting. Please arrive on Monday, May 21, 2018, by the end of the day. Your registration to the symposium is fully funded with federal funds from the National Library of Medicine, National Institutes of Health, Department of Health and Human Services, under grant number 1UG4LM012346-01 with the University of Iowa. You must be working in a US-based public library and have an interest and role in providing health information to the public to qualify for a free symposium registration. To register for the symposium, you must first have a login to MLANET. The links below will open a new tab so you can check your status. Online registration is CLOSED. Contact Maria Lopez at MLA to inquire about space availability for last-minute registration. MLA headquarters staff will review the application for compliance before sending a confirmation email. Attendance is limited to 150 qualified public librarians, who commit to attending the symposium by registering. Applicants beyond 150 will be placed on a waiting list. Note: by registering, you agree to share your registration information with MLA’s symposium organization partners (Public Library Association and National Library of Medicine). NNLM is providing up to $500 of hotel and travel support to qualified public librarian symposium attendees. The travel stipend deadline has been extended past March 1. Don't delay, as a limited number of stipends are awarded on a first-come basis and available until funds run out. Apply now! Visit the MLA ’18 hotel and travel page for detailed information and links to the hotel reservation page. The MLA room rate at the Hyatt Regency Atlanta is $219 per night. See the hotel reservation page for the most current room rates and room availability. Health sciences librarians and other attendees registered for the MLA annual meeting and interested in collaborating with public librarians are encouraged to attend sessions of the track. Watch for an announcement on how to participate in the Tuesday welcome/networking breakfast and programming details. Activities will favor interactions using a variety of formats, such as small table discussions, panels, speed-networking, poster viewing, dinner with a community talent show, and keynote addresses. Enjoy breakfast. Meet the organizers. Meet Health Sciences Librarians and fellow Public Librarians. Make fast connections! Leaders from MLA, NLM and PLA will welcome you to the symposium, provide you with an overview of the overall context that is leading public librarian's need to provide consumers health information, and share topics on how to maximize your symposium experience. Learn about the structure and goals of the symposium, and which sessions are best for you. Start making plans to develop your skills in providing health information and for increasing your organization’s capacity to provide health information services. Learn about what health literacy means why it is important to you, your library, and your community. Learn about the Promoting Healthy Community initiative, the foundation of an ongoing partnership between the Public Library Association (PLA) and the National Network of Libraries of Medicine (NNLM). This initiative is building on the strong work of public librarians and the NNLM to spread tools and strategies for public libraries to be resources for health information in their communities. Learn about the networking, outreach and other opportunities and resources made available through this partnership, and how you can participate! Competencies for Providing Consumer Health Information: What Do I Need to Know? You might have heard some of the recent buzz about CHIS, but what is it exactly? This interactive session will answer your questions about CHIS (Consumer Health Information Specialization) – what it is, its value, and the core competencies that are the basis for the specialization. You will learn about the CHIS-eligible classes and quality health information resources to support library staff and the process of obtaining the specialization. A mini-self assessment will set the stage for developing your personal plan. This segment will conclude with the story of one librarian’s personal quest to improve her health information competencies by achieving CHIS and the cascade of positive impact on her work, the library, and services to the community. Be prepared to create a plan for developing and increasing your organization’s capacity to provide health information services. Building a Consumer Health Information Practice: What Resources Are Out There? The National Network of Libraries of Medicine is your "one stop" shop for health information outreach. This session is your chance to get the insider's perspective from representatives across the Network. We can help you improve your confidence in finding high quality health information for your patrons, develop health programming at your library, and find funding to start health information outreach in your community. Be able to utilize the NNLM website to access training, regional funding opportunities, and program materials. Session 2 (concurrent): Public Library Roles in the Health and Well-Being of Their Communities: Partnerships, Strategies, and Impact! This interactive, town-hall style session will highlight the critical role that public libraries across the United States can play in the health and well-being of their communities. By identifying the health profile of their communities, including hard-to-reach populations, public libraries can develop a plan to enhance health literacy by providing consumer health information services to their constituents. Innovative strategies used by public libraries will be shared and potential community partners identified. This session will equip participants with the knowledge to develop a plan to enhance their personal and organizational capacity to promote community health. Providing health information to the public can be a daunting experience at first. What is my role vs. the medical practitioner? What about privacy issues and liability? What can I say or do, or can't? How do I improve my understanding of precision medicine and medical issues to effectively inform the public? Colleen Campbell, UIHC Director of Genetic Counseling Operations and Assistant Director of the Iowa Institute of Human Genetics, will facilitate a discussion between public librarians and health sciences librarians, in the context of the increasing role of precision medicine. Understand the increasing role of the patient in precision medicine and how this influences why patients may seek information. Be able to provide resources for precision medicine topics, such as pharmacogenomics and genetic privacy. Discuss the differences and possible advantages and pitfalls regarding direct-to-consumer tests and clinical tests. Introducing the All of Us Research Program! Have you ever wondered why some people need four blood pressure medications and others only need one? Or how our environment and nutrition impacts our risk for developing cancer or Alzheimer's disease? Come learn first hand about the NIH’s new initiative to advance precision medicine. Learn about how the program works and the lessons learned in the first year at the University of Pittsburgh site from co-investigator Dr. Mylynda Massart. Mylynda B. Massart, M.D., Ph.D., Medical Director at University of Pittsburgh Medical Center, Matilda Theiss Family Health Center, and Assistant Professor of Family Medicine, Department of Family Medicine, University of Pittsburgh. Visit the Annual Meeting main poster room to learn about studies and initiatives in health information and All of Us Research Program led by health science librarians. Network with health science librarians. Authors will be standing by their posters. 94 - Does the Availability of Medical Marijuana Decrease Opiate Prescribing? Surveying the Landscape. Visit the Annual Meeting session rooms to learn about studies and initiatives in health information and All of Us Research Program led by health science librarians. Join fellow symposium attendees to debrief the day’s activities. Attendees will work together to draft a personal action plan for utilizing information from the symposium in their libraries and communities. 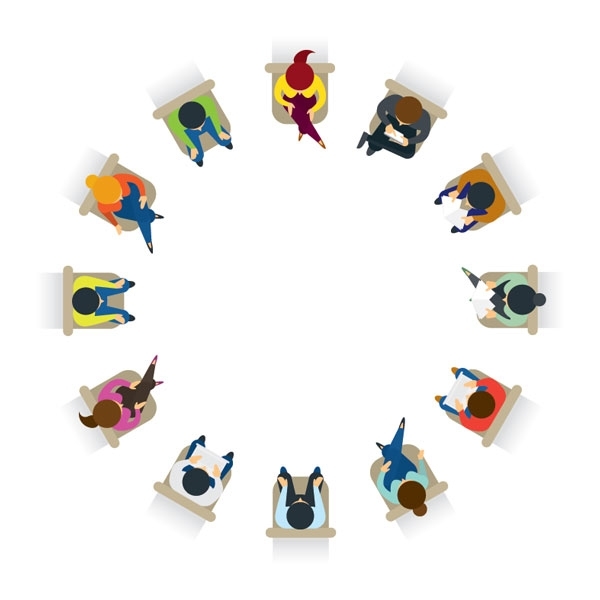 The round table discussions will be casual, small group, facilitated conversations used to exchange ideas, discuss best practices, and ask unresolved questions from the day’s events. Leave the symposium with a deep understanding of their essential role in providing the public with health information. Draft a plan on how to make use of resources, tools, and professional connections to remain engaged and further develop their consumer health information skills. Draft a plan on how to build their library’s capacity to deliver health programs and services. Make a plan for whom they want to meet at dinner! Provided for Symposium participants and All-Inclusive Meeting Registration participants. End the day with a relaxing dinner, a talent show, and a great opportunity to network and meet health science librarians! Dara Richardson-Heron, MD is the chief engagement officer of the All of Us Research Program, National Institutes of Health (NIH). All of Us Research Program aims to build one of the largest biomedical data sets in the world, involving participants from diverse communities across the United States. Richardson-Heron will lead outreach efforts to enroll and retain one million or more volunteers in this landmark effort to advance innovative health research that may lead to more precise treatments and prevention strategies. David Satcher, MD, PhD, is the founding director and senior advisor for the Satcher Health Leadership Institute at the Morehouse School of Medicine, Atlanta, Georgia, the sixteenth surgeon general of the United States (1998– 2002) and the tenth assistant secretary for health in the Department of Health & Human Services (1998–2001). He will speak on social justice and health care.